Mobile Bingo Bonuses bring you an institution in the bingo world, Mecca Bingo. With over 70 years in the business, their experience is evident in their generous bonuses and incredible range of games. No matter what your preference, Mecca Bingo will have you covered with their high quality 90 ball, 80 ball, 75 ball and special bingo. Then add in casino, progressive jackpots and slots such as Rainbow Riches and you’ll have hours of fun ahead of you. To make sure you utilise your time effectively, you can access Mecca Bingo on your iPhone, iPad or Android phone. Simply download the Mecca app and you can game when and wherever you like. They do offer a number of slots and games which don’t require download, so whatever your preference its win win! Welcome bonus for Mecca Club members is £15 no deposit bonus after registration. £5 automatically after registration and two £5 vouchers within 28 days. Welcome bonus if new to Mecca Bingo, make 1 deposit of £10 and receive £40 online bingo bonus and £10 to use in any Mecca Club. Loyalty Scheme – Play Points. 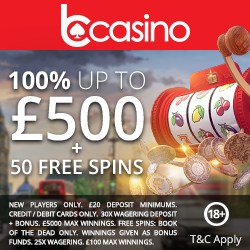 -For those of you who are already Mecca Club players, you’ll enjoy a £15 no deposit bonus after you register. This bonus is broken down into three parts; you’ll receive £5 after registration and within 28 days an additional welcome pack will be sent with two £5 vouchers to use in any way you wish. 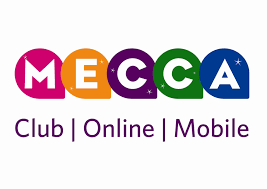 -For those of you who are new to Mecca, make a 1st deposit of £10 and you’ll receive £40 online bingo bonus and £10 to use in any Mecca Club. For those who are Mecca Club members and claimed the £15 no deposit bonus, you can still claim the £30 additional credit for online gaming. As well as a thank you for your loyalty, the bonus credit offers the perfect opportunity to try a number of games before parting with anymore of your own money. 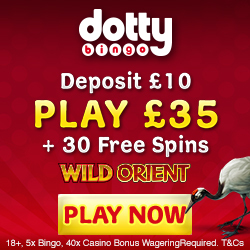 Those newbie bonuses continue, because you’ll receive 7 days of complimentary bingo from the point of registration. These amazing games occur between 12pm to 1pm and 6pm to 8pm, with £20 worth of bingo bonus credit to be won in every game. Mecca Bingo is unlike other online sites, in that they have bingo clubs up and down the country. Because of this you have the option to make one withdrawal a day per person from any Mecca Club, between £10 and £100. You can also make one deposit of the same amount per day, but both need to be pre-arranged; information can be found on the site. Your Birthday is a special time and Mecca Bingo want to make it even better with a £5 birthday bonus; best present ever! We’re not sure if it’s the title or the amazing prize, but we love the sound of Roomie of the Week. Mecca Bingo will pick one player from 4 of their bingo rooms, who as well as getting a nifty title will also win 30,000 play points. For those of you who enjoy a peek on the social media sites, check out Mecca Bingo’s Facebook, Twitter, Instagram and You Tube pages. This is the best way to catch up on the latest news, games and of course bonuses. For those of you eager to tell your friends what they’ve been missing out on, then make sure you earn a little bonus for it. For each person you refer who deposits, you’ll receive £20 bonus credit. The Mecca Bingo VIP Scheme is invitation only, so you will be contacted when you’re eligible to join. If you need any support then check out the Mecca Bingos help section, which offers featured articles to answer any queries. We’re pretty impressed by how much information is available, especially through the search option; much more than the usual FAQ pages. If this doesn’t help then you can contact a representative via email, mail or telephone. Representatives are available 7 days a week between 8am to 11.59am and they aim to respond in 5 working days. To claim the incredible welcome bonus and begin your gaming journey with bingo royalty, simply head over to Mecca Bingo.